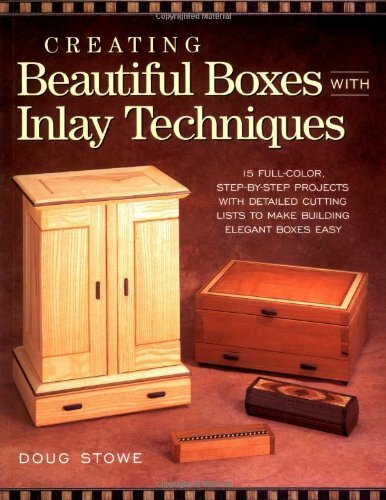 Creating Beautiful Boxes With Inlay Techniques was my first book, written for Popular Woodworking Books. 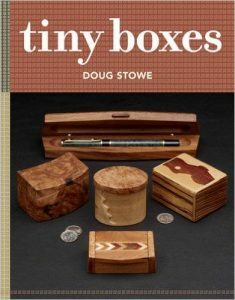 It is currently out of print, but its contents and sidebars are preserved in a new book, Build 25 Beautiful Boxes, also from Popular Woodworking Books. 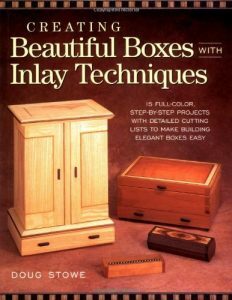 Creating Beautiful Boxes With Inlay Techniques is a practical, easy-to-understand working manual to building elegant boxes in an array of shapes, colors and sizes. 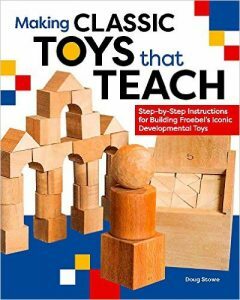 Rich in information, Doug Stowe’s book details everything you need to know – from tips on tools to specific wood recommendations to sources of hard-to-find materials. Nothing has been left out or left to chance. 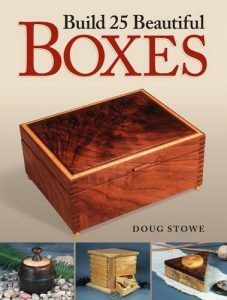 Each project – the sculpted pecan box, the routed box with sliding top, the bandsaw box, and more – is lavishly illustrated with color photographs of the finishes project, detailed drawings and cutting lists, and step-by-step photos so precise and vivid that you could probably build the projects without reading a word (there are more than two dozen of these illustrating the first simple project alone)! 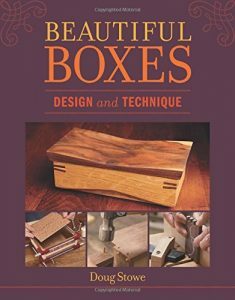 What’s more, Creating Beautiful Boxes With Inlay Techniques gives you the know-how to design your own adaptations of these and other projects. So no matter your experience or shop size, you’ll be inlaying your own boxes with confidence and flawless fits, time after time, in no time at all.